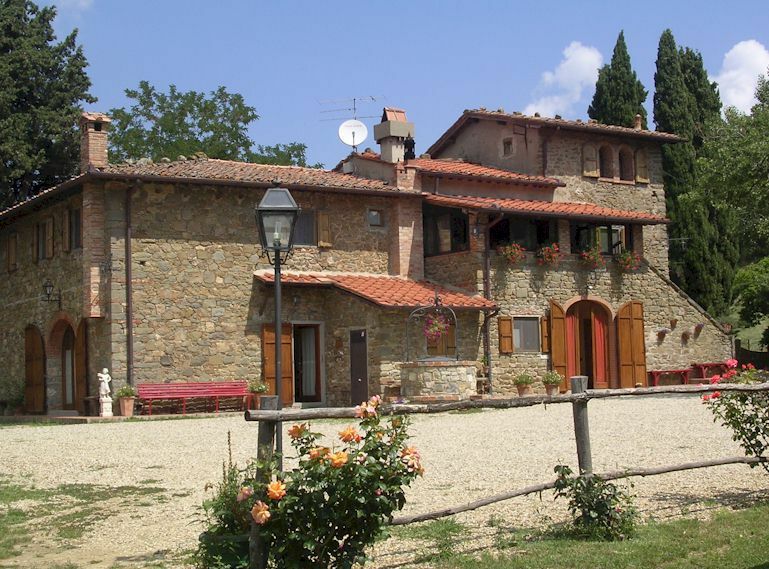 Greve (pronouced “Greh-veh”) is the market town of the Chianti Classico wine zone and a great base from which to explore this part of Tuscany. 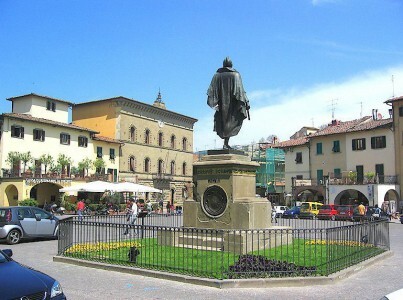 Piazza Matteotti, the main piazza of Greve in Chianti, Tuscany is characterised by its unusual triangular shape, the graceful arcades running along the two longer sides and a majestic statue of Giovanni da Verrazzano, the navigator and discoverer of New York Harbour. Piazza Matteotti is lined with shops, some of them targeting the tourist market but most being ordinary shops for both residents and tourists. There are also a couple bars and some restaurants. 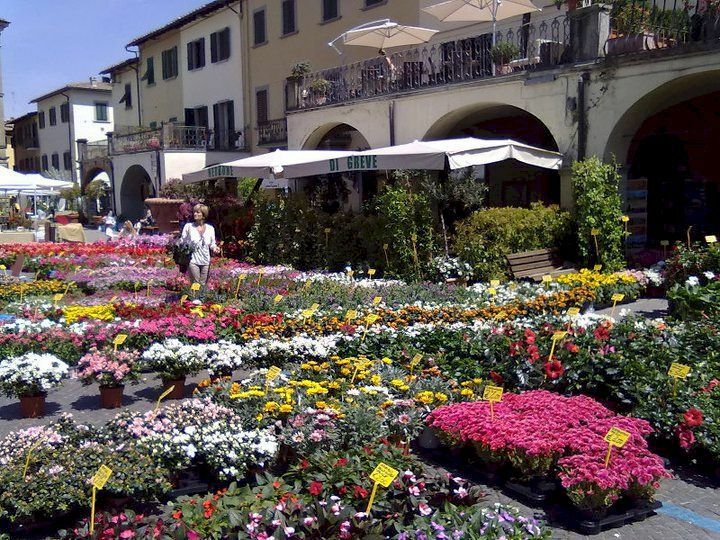 On Saturday mornings, a produce and supplies market is held in the piazza. The main supermarket is 5 minutes walk away and there are shops on Via di Roma, the small street off the “base” of the triangle that makes up the piazza. The church of Santa Maria is at the opposite end. 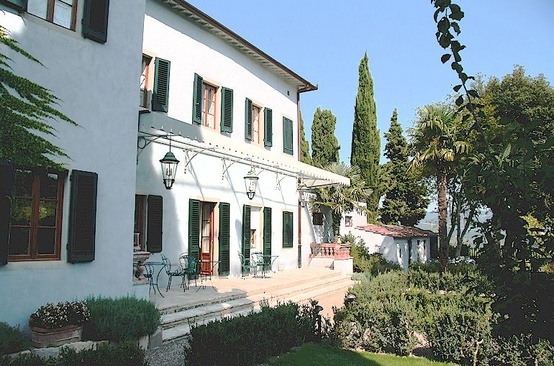 The ready availability of everything you need for your vacation rightly makes Greve a popular vacation centre. 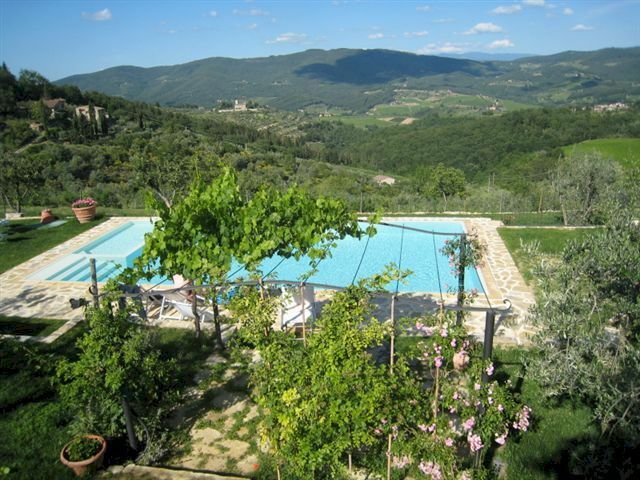 Accommodation is available in town, including on Piazza Matteotti, as well as in the beautiful Chianti hills round about. 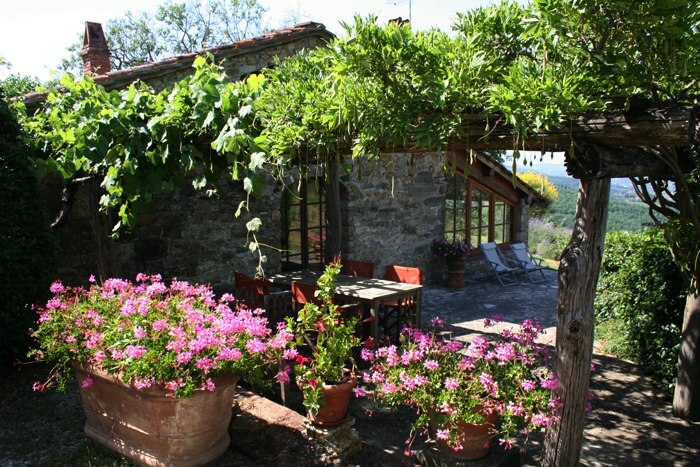 Villas, farmhouses, apartments and B&B rooms are all readily available at highly competitive prices. 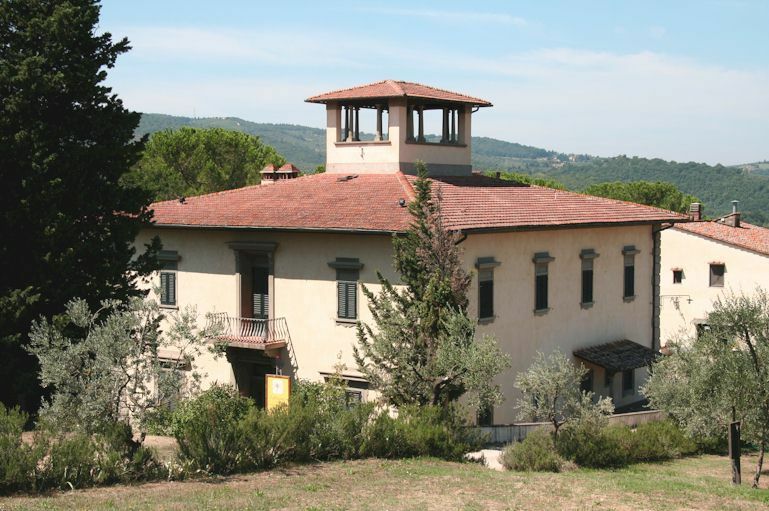 More about Greve in Chianti.